Deer Hunter 2014 is a freemium shooting game for IOS and Android platforms developed by Glu Mobile in Bellevue, Washington. Deer Hunter owes much of its success to the steady stream of content updates that the DH2014 team was able to produce; one update every two weeks. As a mission designer for Deer Hunter, I was responsible for many elements of each update including theming, level and mission creation, guns, and sometimes getting creative. Typical updates for Deer Hunter fall into 2 categories: Regions and Events. 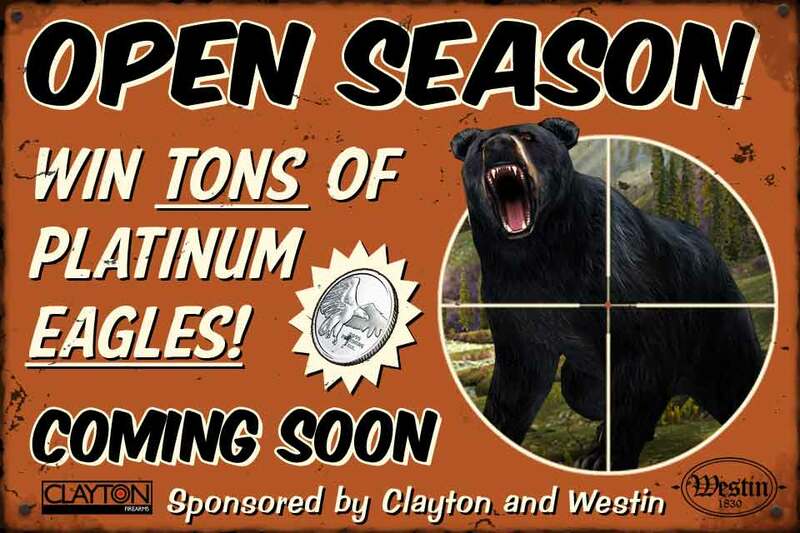 Regions include new guns, a whole new set of animals, new game levels, and about 90 missions. 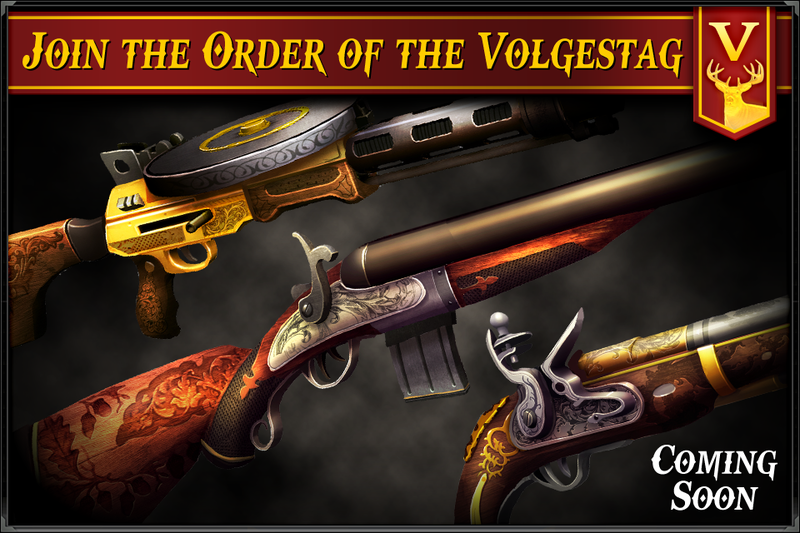 Events were focused mainly on new guns and missions, with a reward gun for players who completed them. Regions were set in new areas of the world that Deer Hunter had not yet been to: Africa, areas of China, and the Artic. Events were often themed around holidays, in-game lore, or new reward incentives for players. I would have between 4-3 weeks to create between 80-90 missions, get new assets working in the game, create and balance guns, mission layouts, and difficulty. Each update also had to go through 2 cycles of feedback and a full QA pass. On Deer Hunter, I shipped 10 updates, each one on time and bug free. 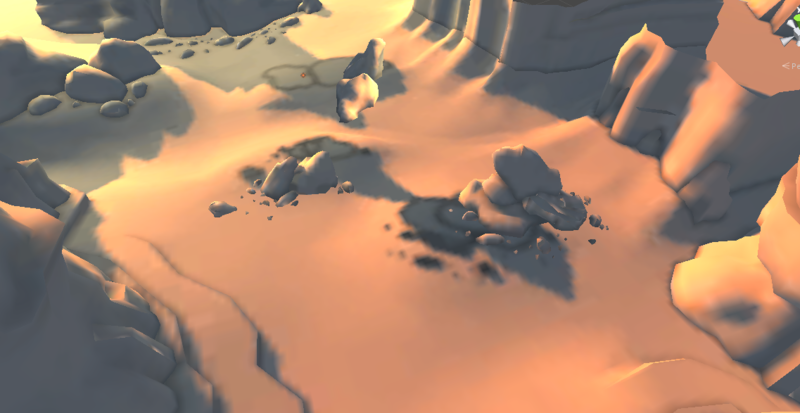 For region updates, I would have to create 2 new 3D areas from scratch. I would create a whitebox, hand this over to an environment artist, and work with them over the course of a few weeks requesting adjustments and making suggestions while assembling levels and doing other design related to the game. 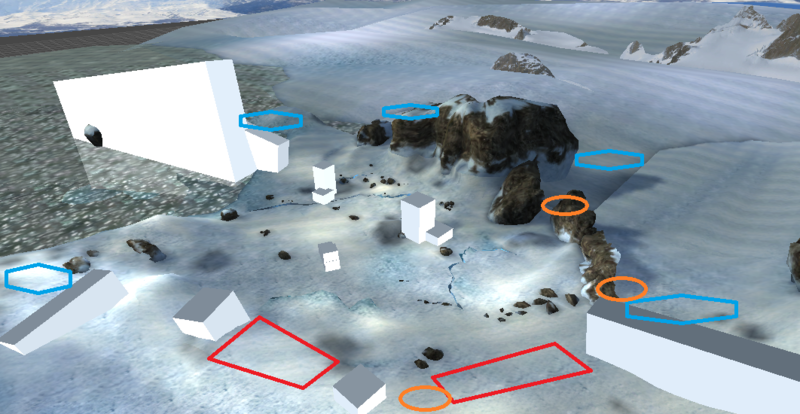 When creating a white box, I would have to balance technical limitations of being a 3D game on a mobile device, have multiple areas for animals to spawn in and out of, as well as interesting topography that went with the region of the world that they were set in. As a part of creating missions, I would work with a mission layout file that would define animal spawn areas, animal paths, and the player position rail. Each part of a mission layout required careful adjustment to ensure animals would move correctly, were easy to spot, but challenging to shoot. Each map would have about a dozen layouts for different mission types including bird shoots, trophy hunts, and stampedes. Often you could get a lot of gameplay out of a few small adjustments. I would also make special mission layouts just for player events, often using parts of the level that had been overlooked or underused. 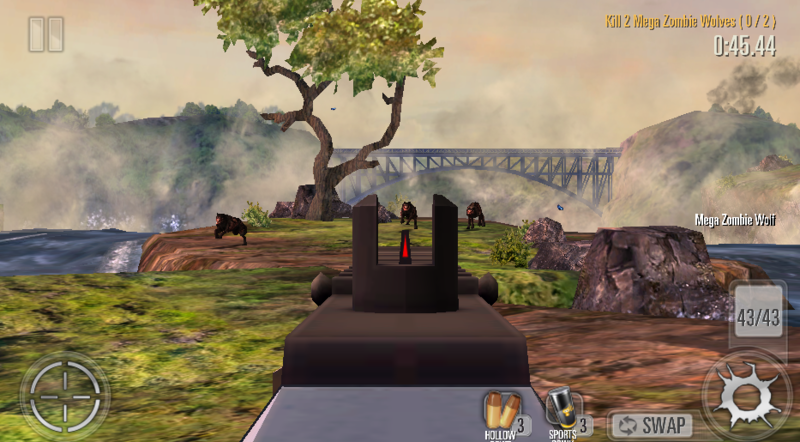 Deer Hunter 2014 has hundreds of guns - they are the core of the game. For each updates and region shipped, I would create new guns to fit the new mission difficulty ramp and the animals they were meant to shoot. Each gun also has upgrades and a specific upgrade path that go with it, which I would balance within the mission requirements. Guns also had different behaviors and functionality. Factors such as reload speed, damage, and recoil all had to be tweaked over multiple iterations to feel right. When I was working on updates, I liked to get creative to give Deer Hunter an extra something special. I had accidentally discovered that the Deer Hunter asset system would let me scale animals up to whatever size I wanted, and the animation would scale to fit. It wasn't immediately useful until months later, when I found out that we would be getting enough art time for a whole new animal in a Halloween event update. The chosen animal would be a spider. I suggested, for maximum terror, making a giant spider as well. I brought up the scaling "feature" I had stumbled upon earlier, and that it could be a good fit. It was shipped with the update. 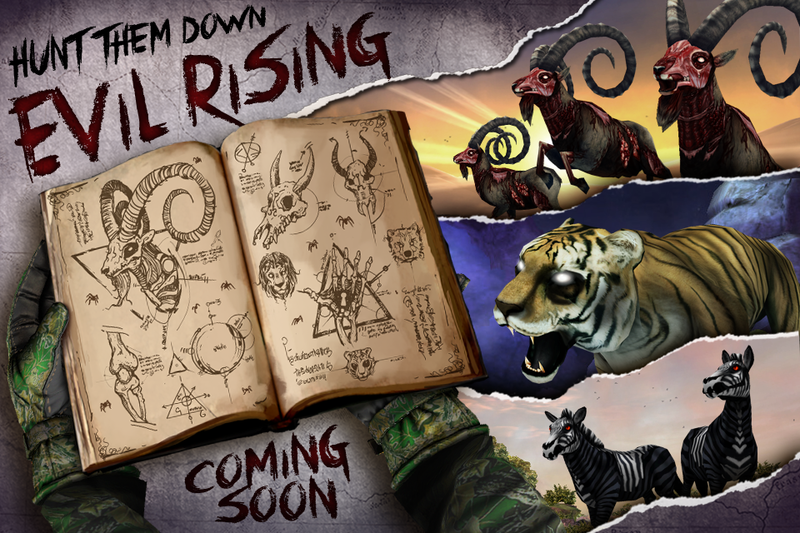 Current market forces required Deer Hunter to include zombie deer and wolves. These zombies are used for Halloween related events, but sometimes brought out for other events. I was working on an event mission pack, which was set in a map that had a limited set of game area. The last useable space was an island in the middle of a large river that was the top of a waterfall. I reasoned that, since they were zombies, they could climb a sheer cliff. So, I set their spawn point off the map so when they ran at the player. It had the appearance that the zombies were climbing up from beyond, to dramatic effect. For a 4th of July event, we included several levels in a night environment. Inspired by the fireworks that are a major part of the holiday, I suggested a night-time bird hunt, giving the normal ducks a bright sparkling trail. 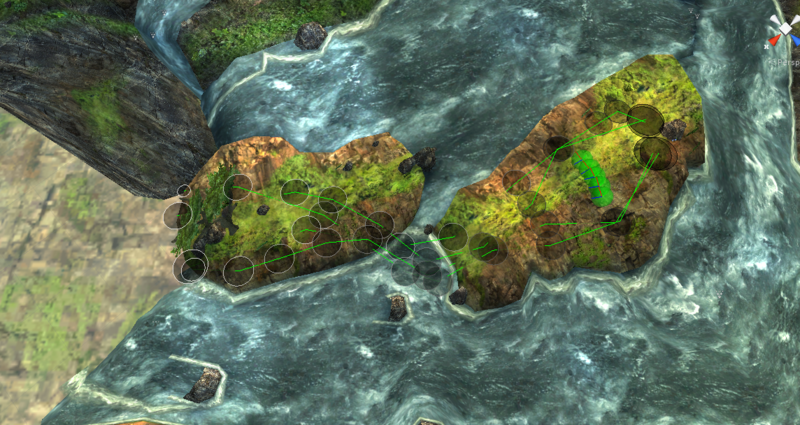 This was implemented and we shipped this playable fireworks level. © Leo Burke. All rights reserved.